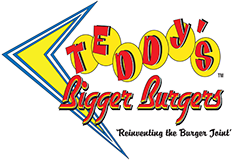 August is the ending of Summer and here at Teddy’s we can’t wait to get you started with one bite of the SPUD. We’ve got this burger on lock! As usual we love giving our customers something a little different every month. It just so happens that we’re putting a spin on our normal burger. Try this on for size: Hashbrown patty, American cheese and bacon! We’re saying, This Spud’s for YOU! I used to pile fries on my burger and still do from the first time I had burger and fries. Did it all my life, trying to share it with the world posed some problems because we didn’t want to just pile a varying amount of fries on a burger so we looked around for a comp alternative……BAM the SPUD was born. Combo the SPUD with a Root Beer Shake. It’s not just a shake, but an amazing combination of ice cream float and root beer in one. Just one bite of the SPUD and one sip of the Root Beer shake and you’ll be OK to say see ya later to Summer. Cool off with us – this ones for you.